Are you ready for another baby? 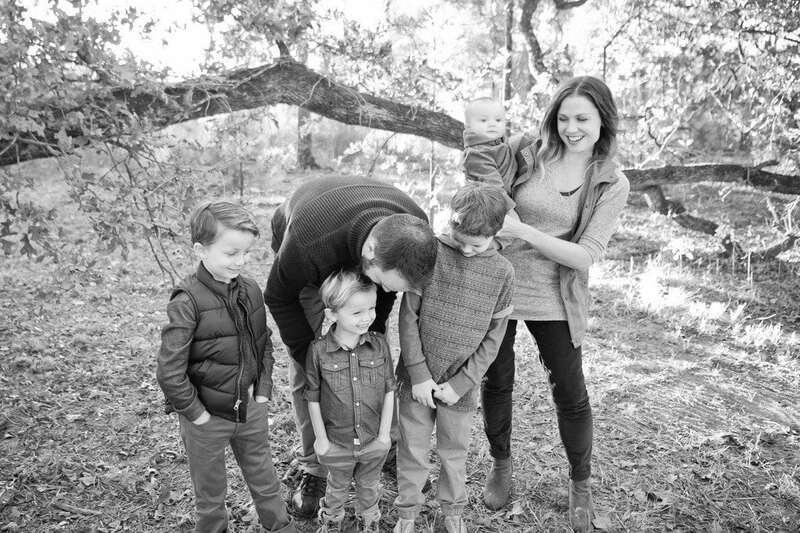 A mother of four shares the pros and cons of having 1, 2, 3, and 4 kids. “Do you want kids?” The answer to this question seems to be a make or break question for many couples during the dating process. And the right answer to this question seems to move many couples toward marriage or break-up. However, one part of this “having children” equation is often left missing from a couple’s discussion—and that part is—what exactly IS the right number of children to have? Yet strangely, it seems knowing the right answer to this question can seem even more challenging for a couple after they’ve had baby number one. After all, how is a couple supposed to know if they will thrive with two children when they enjoy having one child so much? Or how is a couple supposed to know if they want a third when two has been so rewarding (or challenging), depending on the couple? If you find yourself asking these same questions, I wanted to share with you what I consider to be the best and most challenging parts about having 1, 2, 3, and 4 children while you’re considering another baby. My favorite part about having one child was my husband and my ability to obsess over our first son’s every move and to be mutually pulled in the same direction. As a team we were able to watch our baby learn new things and get mobile. And it was SO sweet. I even remember his grandparents coming over and all of us sitting around watching him crawl or play with a toy FOR HOURS. It’s the only time a baby can literally be the center of your world. The hardest part of having one child was the fact that he did not know how to self-entertain and that meant our son relied on us to be his entertainment. And while that was fun, it also felt like it required a lot of energy from us versus the benefit of him having a sibling to play with. Secondly, at times I felt the pace of life was slower because there was just him to focus on. It seemed slightly harder to get connected with moms when I had just one young baby at home. And I felt like I was learning on-the-go and questioned myself more as a mom. My favorite part of having two children was the joy I received from seeing a whole new personality in the world. It may sound strange, but having a second child allowed me to appreciate each of my children’s strengths in a new way. I also loved having a playmate for my first son. My baby enjoyed and was naturally entertained by his older brother so he required less of my one-on-one attention. And I absolutely loved seeing the sibling relationship blossom between them. Lastly, I felt more experienced and comfortable in my skin as a mom. The hardest part about having two was the adjustment into learning how to split my time and attention between two. A second baby is a whole new person that equally needs your love, and it can be hard learning how to divide yourself well at first. My husband and I would divide and conquer, which made it more difficult to focus on the same child at the same time. And as the two grew, we began to have to deal with sibling rivalry and toy sharing. My favorite thing about having three children was that I suddenly felt like we had a big family! I loved the excitement of the variety of personalities and ages. And I loved having one child that was old enough to be independent. With three, I was able to appreciate the simplicity of having a baby that was content to stay in one spot playing, but I also enjoyed the benefit of having an older son that could get out and participate in organized activities. The hardest part of having three children was that I officially felt outnumbered, so it seemed I never had a free hand. And with three, there is a lack of balance in the family. At times, three can feel like a crowd. The middle child seems to have the benefit of playing up or down to their siblings, but the oldest and youngest can end up feeling left out. And we experienced that in our family at times. My favorite part of having four is the fast pace and joy that comes with a big family. I think it keeps you busy as a mom and not bored. The kids all have a playmate and built-in friends, and the baby is doted on by his or her older siblings, which is super sweet. Lastly, if you are dealing with a trying toddler, you have the benefit of seeing how much more mature a second-grader can be. It encourages me to be patient and loving knowing they do grow up. The hardest part is the fact that it is so non-stop. Even when everyone is on their best behavior, there are so many directions to be pulled in, especially with extra-curricular activities. And even if three children are in a good phase, it’s likely at least one may be in a trying one. And lastly, no matter how great your kids are, they are a presence anywhere they go because there are SO many. There’s nothing like taking all four kids to a hotel where you get to share a room. ? In summary, the right number is different for every couple. And if you’re stressing about the decision to have another baby, I just have to let you know that even though we never thought four was our number, I can’t thank God enough for our “oops” baby number four, proving we are often capable of much more than we ever knew.